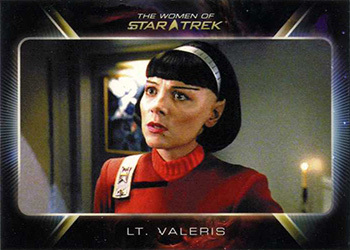 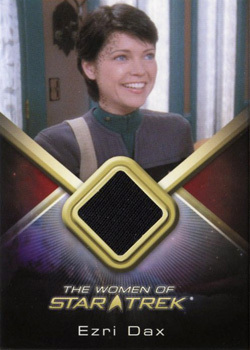 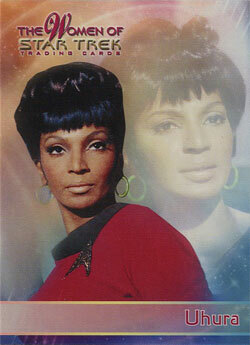 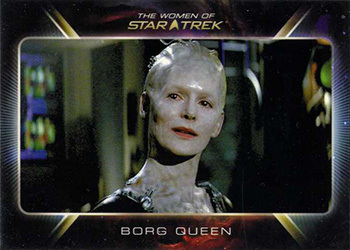 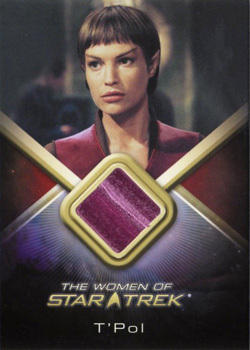 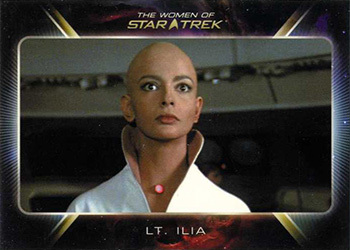 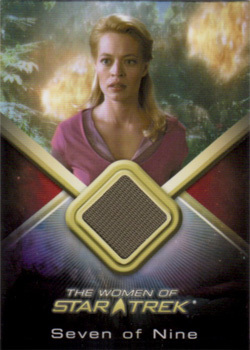 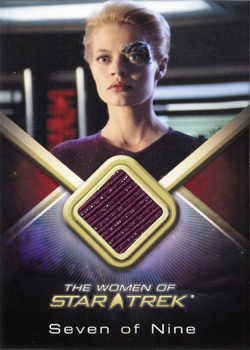 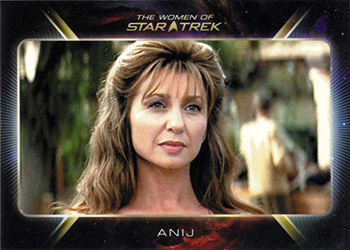 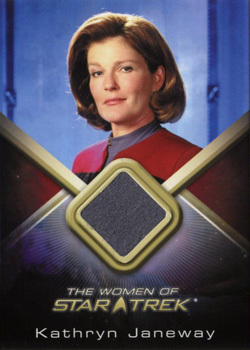 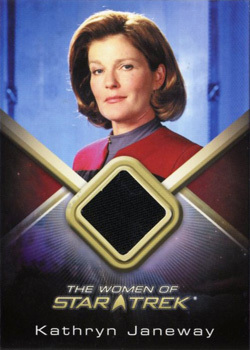 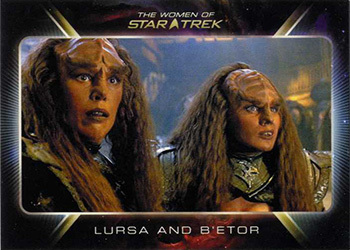 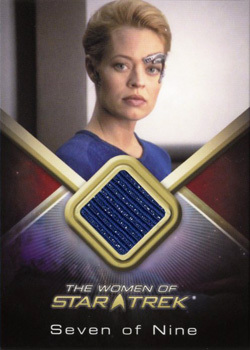 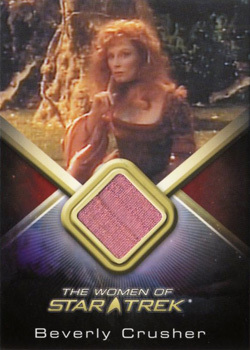 The beautiful and aluring women of Star Trek return in an all-new trading card set, Women of Star Trek, in early 2010. 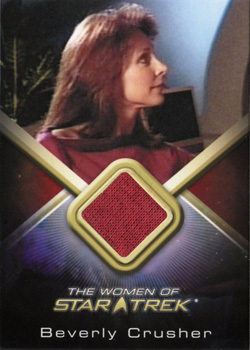 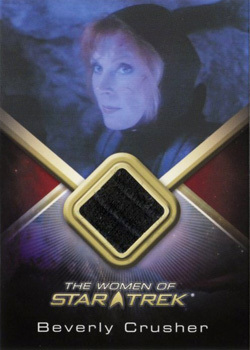 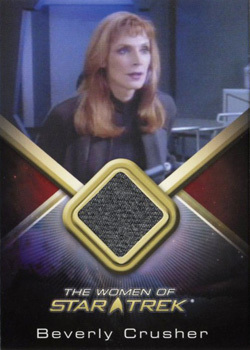 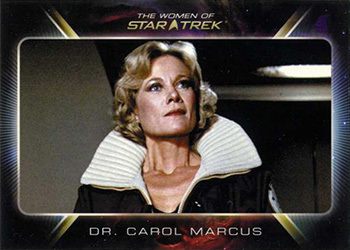 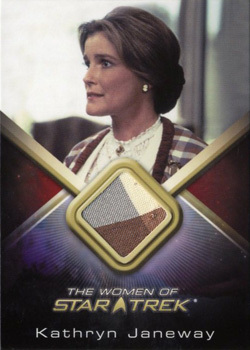 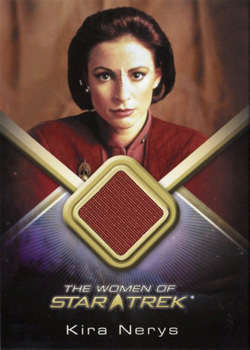 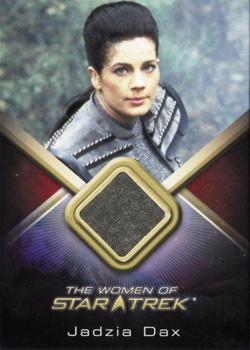 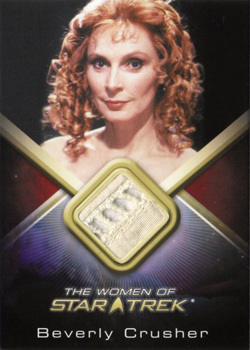 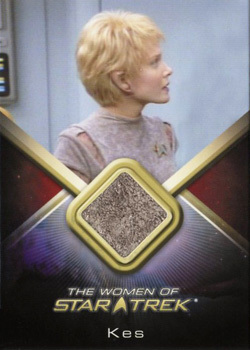 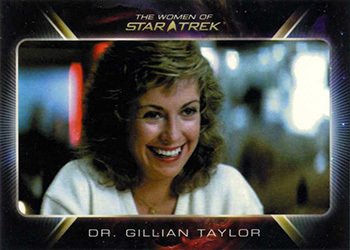 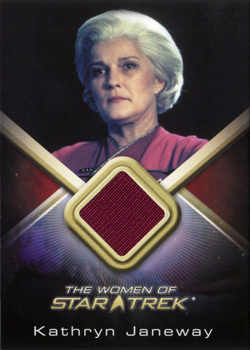 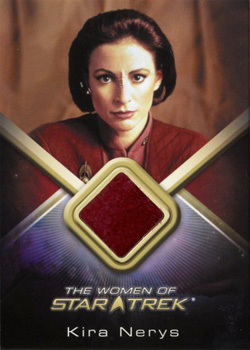 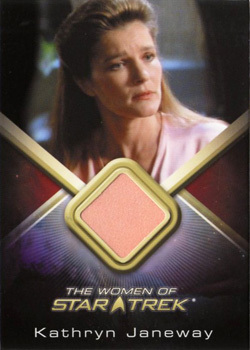 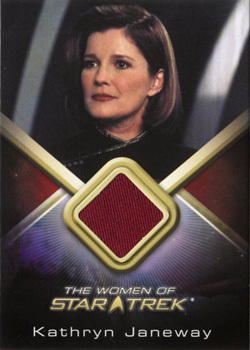 This 81-card set will feature the powerful and memorable women from all five Star Trek TV series! 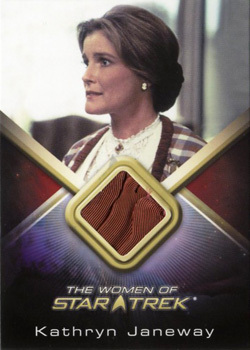 Each box of this set will feature 3 Autograph Cards and 2 Relic Cards Per Box! 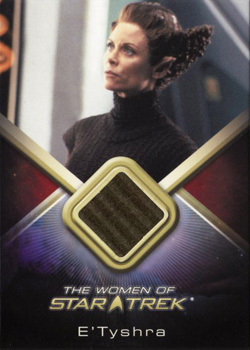 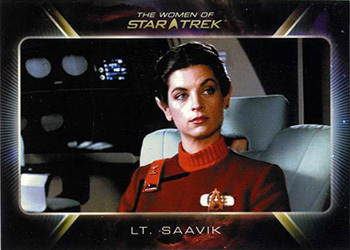 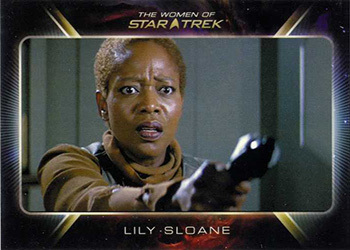 Rounding out the chase cards are several exciting sets including: 10 Women of Star Trek ArtiFEX (1:8) which replace the previously announced 9 Portrait Gallery (transparent plastic) cards, 9 Leading Ladies (1:24), 9 Romantic Relationships (1:24). 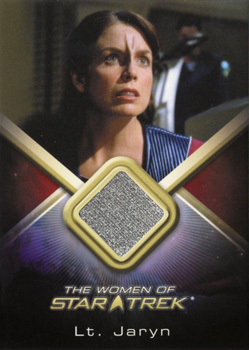 14 Very Limited and 5 Limited autograph inserts makes this a tough set to complete. 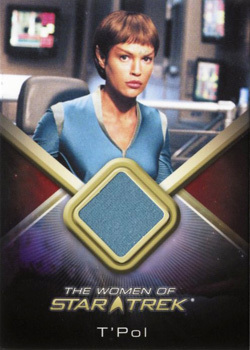 For every 15 cases purchased an Archive Box was given which contains complete sets of all pack-inserted bonus cards, including all autograph cards and costume cards, plus the case topper autograph card and both multi-case incentive autograph cards. 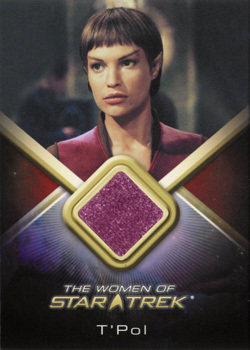 Due to space limitations there was no base set included. 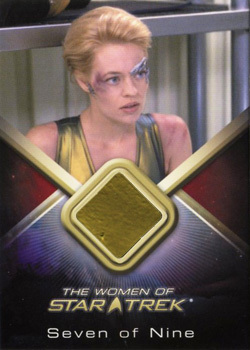 "FYI: A limited number of previously unannounced base cards numbered 82-90 were inserted into the packs. These cards are intended to be released in next product (The Quotable Star Trek Movies). 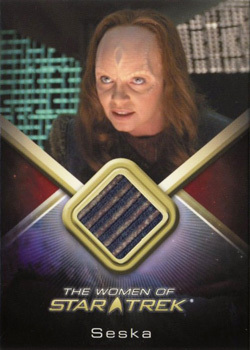 These cards may be rare now, but when we issue that next product, they won't be so tough to find." 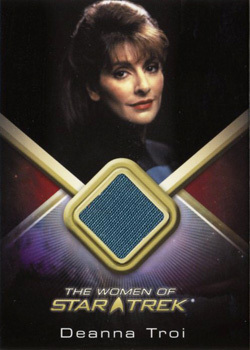 Rittenhouse Archives 10 March 2010 7,500 24 5 2½" x 3½"
"Clues", "Manhunt" & "The Big Goodbye"
"The Mind's Eye", "Redemption, parts I & II", "Unification, part II"
"Samaritan Snare" & "Q Who?" 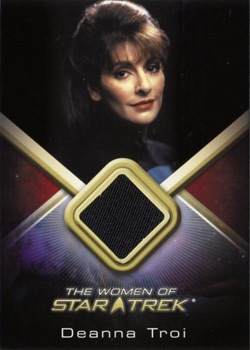 "Emissary", "Through the Looking Glass", "Shattered Mirror"
"Family Business", "Profit and Lace", "Ferengi Love Songs", "The Magnificent Ferengi", "The Dogs of War"
"Good Shepherd", "The Haunting of Deck Twelve"
"The Q and the Gray"
Later realeased as an expansion set in the Quotable Star Trek Movies set. 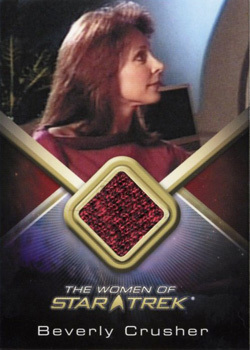 as Jennifer Sisko in "Emissary"